To change your body, you have to change your mind. But as fitness professionals, we know it’s easier said than done. Many people are stuck in a rut, believing that exercise is punishment, dieting is hard and getting in shape is a lifelong battle with a body that doesn’t cooperate. The worst part is, these simple beliefs have serious consequences. If you only see fitness as a way to work off that Friday night bender, you’ll never sustain it. If you believe your body is ugly, you won’t take care of it in a kind and loving way. If you decide that personal training is too expensive, you’ll open the floodgates for other priorities to sweep in and drown out your health - the highest priority of all. Your thoughts literally have the power to shape your body. So, we’ve taken five common ‘complaints’ we hear as fitness professionals and flipped them on their head. We’d love to hear your thoughts in the comments, so let us know if we’ve nailed your inner dialogue, or you’re a positive-mindset-ninja from way back. Perspective #1: Exercise is a way to punish myself for eating too much, sitting too much, and not having the perfect body. Perspective #2: Exercise is a PRIVILEGE. Praise be! Not everyone is able to exercise. Many people don’t have the physical abilities they wish for, and remembering that mobility is a privilege sure inspires gratitude. Next time you find yourself heading down the ‘exercise as punishment’ path, challenge it by reminding yourself how lucky you are to be able to exercise at all. Relish the feeling of moving your limbs and working up a sweat. Revel in what you can do, right now. Let your body dictate the intensity, and start seeing workouts as joy-filled things to build a more vital being - never as punishment. Perspective #1: My body is gross. I’ll love it when it’s leaner, stronger and sexier. Perspective #2: My body rocks, right now. If you don’t have respect for your body, you’ll make decisions that are less about health and more about vanity, aesthetics, or someone else’s ideal. And that’s a recipe for injury and burnout. It’s a hard task to accept yourself as you are, but it’s imperative for attaining true health (and oddly enough, for reaching your body composition goals in the long run). Make it your mission to love your body unconditionally. Do the right thing by it - even if that means taking a little longer to fit into those denim shorts, or temporarily going easy on HIIT. (If you need extra inspo, read our blog on why slower is better for weight loss.) Your body is your home. Start treating it that way. Perspective #1: Going to the gym bores me to tears, but it’s just what you do. Perspective #2: I LOVE keeping fit and crave moving my body in ways that are FUN. Gyms get a bad rap. Working out under fluorescent lights, going nowhere on a treadmill and doing the same exercises again and again would bore a taxidermied tortoise. But all gyms aren’t created equal. It’s absolutely possible for you to love how you move and find a studio or trainer who makes fitness fun, playful and challenging. Perspective #1: Sticking to this diet is hard. I feel deprived. Pass me the gelato. Perspective #2: What diet? I eat delicious human-friendly whole food and crave bone broth and broccoli. Language matters. The words ‘diet’, ‘forbidden food’ or ‘off limits’ send strong signals of lack and scarcity to the human mind. Feeling deprived is a guaranteed precursor to binge eating or unhealthy thought patterns, and pretty soon you’ll find a way to break free and demolish the pantry. Instead, we believe in embracing a wholefoods eating template that makes sense from an evolutionary (and environmental!) perspective, filled with local, organic nourishment in the form of good fats, veggies, pastured meats, eggs and occasional dairy, nuts, seeds and seasonal variety. This is not a diet of deprivation; this is a way of feeding yourself that says ‘yes!’ to everything - so long as it’s human-appropropriate food. To us, processed meats, strange-coloured candy, hydrogenated fats dressed up as spreadable butter… are simply inedible. Once you’ve dined on the real stuff (and ditched the language of diets), you’ll find yourself eating right, naturally. Perspective #1: I can’t afford a fancy studio gym membership. Monotonous jogging it is. Perspective #2: Health and vitality is my #1 asset. I see quality training as an investment in a long, happy life. When you break it down, people spend waaaay more on eating out, cab fares, alcohol, ciggies, clothes and medical bills than the cost of quality training. And yet, it’s seen as a luxury; something that’ll break the bank. Within reason, most people can afford what they prioritise. Saying ‘it’s too expensive’ is simply a budgeting choice. If health matters to you, take an empowered stance. Look for areas you may be carelessly (or unconsciously) spending, and get real about the true value of specialised training. When you consider the prevention of chronic disease, increased energy, getting more out of life, charging ahead in your career thanks to more confidence and focus, and simply feeling proud of yourself, there’s no figure you can possibly put on quality training. It’s priceless. 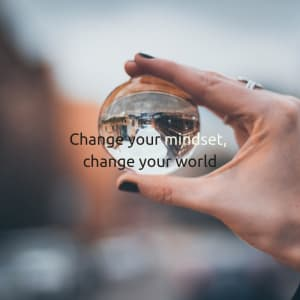 If our five perspective flips have you feeling inspired, reach out to us for a free 20 minute fitness strategy session. It’s an easy (and enlightening) way to get clear on your goals, hear our health and fitness recommendations and see if we’re a fit. Feeling tech savvy? Book your free consult in seconds by clicking here. Join Us In Ultimo For The Best Fitness Training Around! I was with Enliven Fitness for about 3 years, and it was one of the best decisions I've ever made! Since the very start, Michael and Kristy understood my goals and played a huge part in helping me achieve them. Their understanding, knowledge and motivation, combined with such a diverse training program allowed me to not only reach my goals, but to genuinely enjoy the process – it was always such a pleasure to go to training! 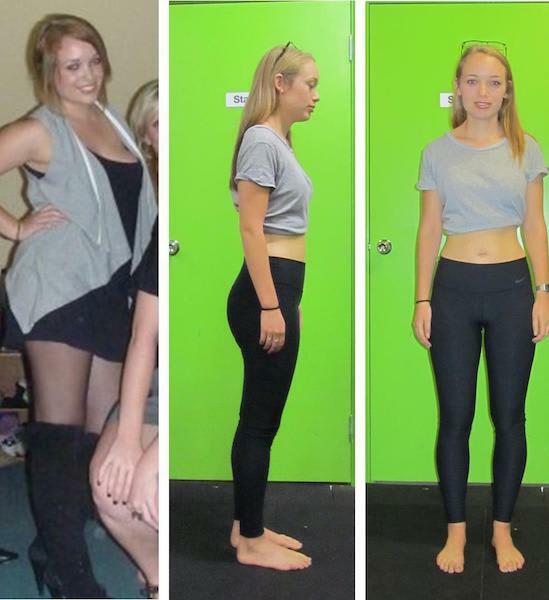 I have also been through the Cleanse program twice with Kristy, and I can honestly say it was such a great experience! 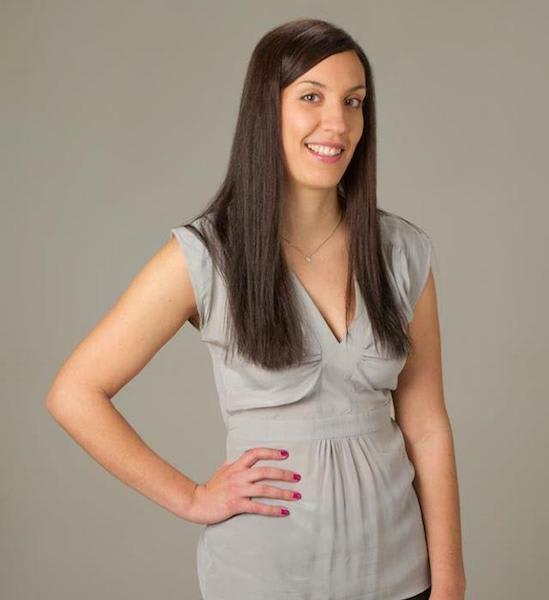 Kristy was so knowledgeable and such a great support throughout the entire program and beyond – I would definitely recommend this 4 week program to anybody striving to make a positive lifestyle change. I cannot thank them enough for their generosity, positive attitude and genuine care that I encountered throughout the whole time I was there. I cannot wait to return! It sounds cliched but its true: There really is no other place like Enliven! The team bring a high standard of service to everything they do: Their sessions are varied, interesting, challenging in the best possible way, and attuned to what each person needs; their awareness of the body's innate capacity, vitality and wisdom is top notch; they are genuine in their passion for holistic health and wellness; and they walk their talk! 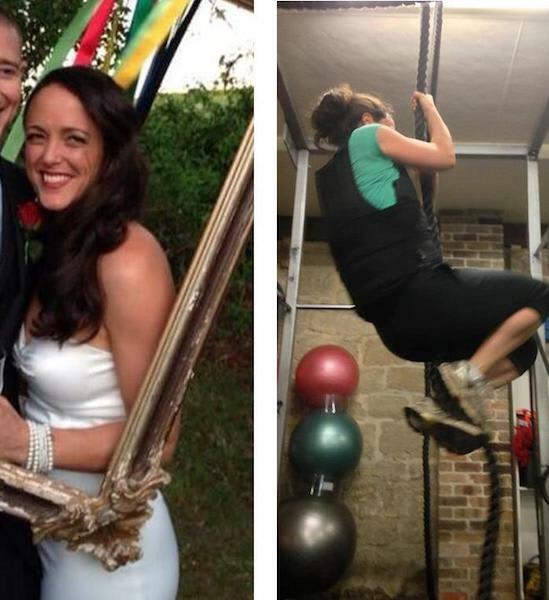 In the lead up to my wedding, Michael tailored a specific training program that supported me to achieve my fitness goals, and manage the stress that came with organising the big day. It didn't come easy - he made me work (really) hard but it was well worth it in all ways. I can't recommend Enliven enough, whatever your health goals are, these guys will give you their all in helping you to achieve them. I never liked training at a gym and in the past found it hard to get into the right exercise routine. I love chocolate and anything sweet and have tried to quit sugar many times in the past without success. Two years ago I started doing personal training sessions with Kristy at Enliven and then added in group training sessions as my fitness and confidence improved, until I was training 4-5 times per week. I also completed a cleanse with Kristy and I was able to completely get rid of my sugar cravings, something I thought would never happen! What makes Enliven different from other studios is that they are so much more, at Enliven you can get specialised training programs, nutritional coaching and you can also get all of your organic, healthy food from them. 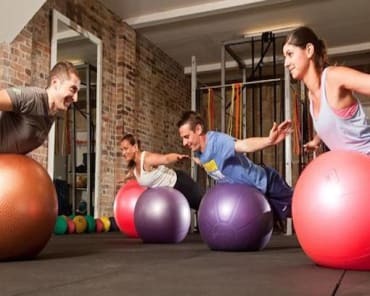 The atmosphere at Enliven is friendly and encouraging, unlike most gym environments. I now enjoy training every day. The classes at Enliven are fun and varied and the perfect alternative for people (like me) who dislike traditional training at the gym. The classes are small enough to get personal attention which is something I really appreciate. I would strongly recommend Enliven Fitness to anyone who is looking to get fit and create healthier habits.